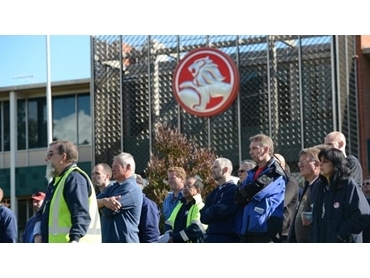 Following the ACTU’s public endorsement of changes to Holden workers’ enterprise bargaining agreement conditions, only half of the company’s unionised workers are behind the savings measures. Yesterday the ACTU’s president Ged Kearney addressed the National Press Club, telling her audience that the $15 million worth of savings measures were difficult but important to the car maker and its suppliers. "This has been a hard decision, what has been negotiated at Holden, and I'm really incredibly proud of the union to have come to this point," AAP reports Kearney as saying. "We've done it before. Back in the '80s we sacrificed a three per cent pay rise to implement superannuation. "I hope they look to the long-term viability of that industry and that company." The AMWU has said that Holden will shut its Elizabeth plant in 2016 if workers do support a “yes” vote when a ballot is held next Tuesday. The revised EBA will include a two-year pay freeze, constraints on overtime pay, and measures targeting union influence, such as not providing facilities for union conferences and denying extended leave for union-related activities. It will also make “inefficiency” and “malingering” sackable offences. "I've been a union official for 25 years, I've never come across anybody being dismissed for malingering," the AMWU’s John Camillo told the ABC. The AMWU has said only half of its workers at the Elizabeth plant said they would vote in favour. "There's still a lot of people that don't understand the variation because it's legal jargon for them and so that's why we've put a simplified newsletter out, two days ago," said Camillo. "They're reading that so they have different understanding of what's happening and we'll continue walking the shop floor, talking to those people and getting a feel for what the issues are."